It was AMAZING! The players were so talented, personable and interactive! Honestly…it was the best time I have personally had in a very long time!! My Directors actually gave me a standing ovation at the meeting the next day for planning this and how much fun they had. So….with that said….I think it was a huge hit! Thank you for everything! You all were great to work with! Hopefully we will be in touch again soon! Best Buddies of Central Illinois sure is doing outstanding work! We have many events each year that touch us, but this one on Saturday October 14, 2017 in Peoria IL sure was a classic. With many “buddies” in attendance for this event, we got to see the beneficiaries of the work this foundation is doing first hand…and they were certainly FUN with Fun Pianos dueling pianos. 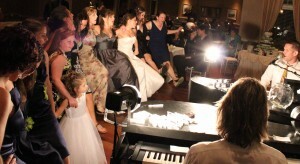 This was our second time booking dueling pianos for our end of the year gala, but our first time utilizing Fun Pianos! by 176 Keys. The experience, from booking, to planning and day-of execution was exceptional. They helped us generate additional revenue, showed our guests a great time and really knew how to maximize our space, set-up and guest interaction for a top-notch experience. Hello! We just arrived back from our honeymoon! The show was amazing! Everyone loved it and commented on how unique and cool it was! No one had ever seen anything like it. Thank you again for everything and for making our wedding so special! 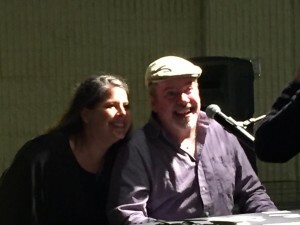 Thank you for making our event truly come to life with dueling pianos as the main attraction. This was the highest attendance we have had for our Holiday Party thus far. I am told it was because everyone was SOOO excited for Dueling Pianos. You beyond surpassed any of our expectations! We were completely thrilled with the show and how you engaged our corporate crowd! Having 176 Keys Fun Pianos as entertainment reinvented our traditional country club holiday party! We have received many compliments about the show and have now set the bar extremely high for next year. I sincerely appreciate your help and HUGE contribution to making this event a success! We will absolutely use you for corporate events in the future. You were a pleasure to work with. Thanks again! I just wanted to let you know how great your guys were on Saturday! I’ve had so many compliments! Please let them know how much we enjoyed it.. Your performance was wonderful Sat night! Everyone is raving about it! It was terrific. The group loved the piano guys! They had a lot of fun. Show was great!! Everyone enjoyed them. Thanks so much for everything!! We are excited that the Decatur Civic Center is bringing us in as their special entertainment on New Year’s Eve! Fun Pianos dueling pianos show in Decatur IL is not new, but this may be the biggest event for us there yet. We have worked with some of these people before and are quite excited to be there with them on this high-demand and special date! The Altamont Boosters are doing great things for their youth, and we are proud that they have brought Fun Pianos dueling pianos to Altamont IL for a second year in a row. The Carriage House is a beautiful venue, too! Thank you for making us part of a FUN tradition! The Fun Pianos were great at our Pick Your Poison Fundraiser for Mentors 4 Kids. They were so engaging, encouraged donations and worked to promote our program throughout the night. What a fun way to bring folks together to support our agency, enjoy a variety of songs and feel free to sing along. 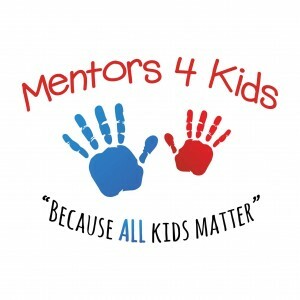 Thanks Fun Pianos-Because All Kids Matter! SAVE THE DATE! We just booked Fri 10/13/17 with Mentors 4 Kids, Inc. for a FUN fundraiser in Mt. Vernon, Illinois! Dueling Pianos by Fun Pianos is a GREAT way to raise money, raise awareness, and bring the whole community together for FUN! 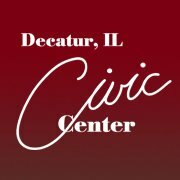 We’re please to announce that we just booked New Years Eve w Decatur Civic Center! We’re honored to play a big night at a prestigious Civic Center with many great events! Of course this isn’t our first time in Decatur: Dueling Pianos from Fun Pianos has these as some of our memories there! The event was great. We had a nice response from the dealers about the Fun Pianos! Many of them had a lot of fun. I think this was the first event that I had to kick 75% of the crowd out when the show was over. It was wonderful! The players did a great job. I have heard a lot of positive feedback. I have also had several that wanted your information. They were awesome! Everyone really enjoyed the show. Thank you. They did an incredible job, especially since a majority of our group was glued to the television with the World Series on it. So, they sang “Go Cubs Go” several times for us. The show went great! Everyone had a fabulous time and stayed so engaged! The guys did a great job…please tell them and everyone in your office ‘thank you’ for a fabulous fundraiser!!! They threw one great Musical Party for our Fundraiser on the 16th! We had about the same size crowd as last year, but was younger … and we netted $1,200 more than last year. Had larger groups participating in the activities, too. I’m so impressed how the guys can get people to perform – no one turned them down and they have everyone’s attention the entire time. The Baseball Fan Oreo Stack ‘Em contest did well, too = had 3 gals stacking the cookies and they all got around 30+ cookies stacked in a single vertical stack before one stack fell and then the gal knocked the other two stacks over (glad I had a tarp down). We collected about $550 among the three teams’ buckets! I think they were impressed. One of the players even wore a couple of the baseball caps to the end of show. Our Father Steve helped raise some money with his piano medley. He really enjoyed himself – They did a nice job in promoting him! Everyone really had a great time! 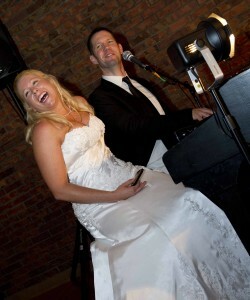 Amy, we just wanted to tell you thank you so much for helping with the dueling pianos this weekend. The guys were absolutely awesome and everybody had a wonderful time thank you so much we hope to see you again!! George and Matt were awesome!!! George and Matt were awesome!! I’ve never seen so much interaction and fun by a crowd at this event before. They were so nice to deal with and their show was outstanding. I’ve had guests telling me how much fun they had, since the event! Thank you for making the whole process so easy and delivering such an exceptional show! The show was GREAT! The players were amazing and did just what we wanted and got the majority of our guests involved and dancing. I think everyone had a wonderful time. The room set-up was perfect. Many thanks for all your follow-up and attention to details and all our questions. All of our work really paid off. Hi Amy! The show went great! We had an awesome turnout. The players were great to work with that night and did an awesome job with the crowd. We have heard wonderful comments about the players’ performance all week! They entertained us the entire time – and there was quite an age span … probably 20’s to 80’s. Someone said that two hours just wasn’t long enough. Another comment was that you knew those guys were good because no one was hanging out at the bar – everyone was in their seat and just waiting to see what was going to happen next. Lastly, no one refused to go on stage! And the people who were chosen raised some eye brows – for nobody would have thought that they would have gotten up in front of so many people. The players really did a great job in engaging the crowd from the get-go. I can’t begin to tell you the raves reviews you folks got for your performance last Thursday! “Best holiday party EVER!” was repeated I don’t know how many times! Thank you and your team so very much for making our party such a huge success! I will keep your information on file, and will be looking for the next opportunity to bring you folks in for a conference or meeting. As the senior conference planner for the company handling around 35 conferences a year ranging from 20 to 5,500 attendees, I am confident something will come up soon. Once again, thank you, and VERY WELL DONE!! The guys were amazing, the entire town has not stopped talking about the event. I had people telling me that we should do this every couple of months! My wife and I knew that once the town got to see your show that it would be a must see event every year. Everyone loved the show once again. Thank you for all your help and wonderful staff. This always makes this fundraiser a great success. Last night’s show was awesome. The performers were great- very engaging, funny and kept the crowd entertained. It was a different set-up than I had originally planned because my director wanted to incorporate patio seating as well as lawn, but they did a great job at playing to both sides of the crowd. 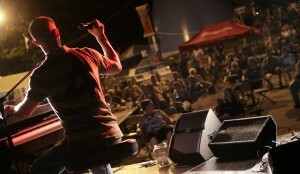 We had our largest crowd yet for our summer concert series so we definitely want to book you guys for next year again! The show was fabulous. Great food, great time, great turnout and wonderful fundraising result. Thanks to the players and 176 Keys office! The show was wonderful, once again! I hope the guys enjoyed it as well. They did a great job! It was awesome. Awesome is probably even an understatement! So many people loved it and even after the piano guys stopped playing, people kept asking when they were going to start playing again, haha! It went VERY well! The players were SO great to work with. We were able to raise $10K MORE than we did last year! 176 Keys is the best company to work with. You put on a great show, you communicate very well and your price point is very fair. Thank you for everything! If we decide to make a 3rd year out of this, we will call you! Fun Pianos was a joy to work with. I have worked with paid and unpaid halftime acts for our men’s and women’s basketball games for two years, and I can say without a doubt they were the most flexible and open to our ideas. They even helped us film a short commercial that we used to promote the fact that they were going to be performing at a basketball doubleheader for us. One of the greatest parts about the Fun Pianos dueling pianos show was the dedication of the performers to learn and perform the Illinois State University fight song. Our fans loved that touch. From an entertainment perspective the fans were engaged and we were able to seamlessly incorporate them into our game day promotions. It was absolutely awesome!!!! The players were so good. Everyone wants to know the date for next year. We wowed Decatur. Thank you for everything!!! Your company is awesome. We were a sell out!!!! The show was fantastic!!!!! People in town have been talking about it all weekend. It was a fantastic fundraiser. We definitely want to do it again next year. Thanks again for all your help. Your company has been a pleasure to work with. I just wanted to tell you the players were amazing last night. They did a great job getting guests involved. We had a blast. Thank you! We had a great time! The guys did get most of the crowd engaged. Just like I wanted! Thanks! 176 Keys was a fantastic addition to our annual holiday party this year! What fun to have almost everyone up and about being interactive with other employees and the show. I have gotten nothing but rave reviews from other employees telling me what a great time they all had. Thank you 176 Keys!! A BIG THANK YOU to 176 KEYS!!!!!!!!! The show was GREAT! The event overall was a HUGE SUCCESS, we met the goal of raising $10,000 !!! Actually made a few hundred extra. So, I am very happy with the outcome! The guys were AWESOME!!! Everyone had a great time. Great songs, crowd involvement and a few surprises from certain people in their willingness to get out of their seats and join in the participation! Thanks again for wonderful communication with me throughout the pre-planning stages! It really is a huge benefit to someone who has a lot on their shoulders, not having to worry about waiting to hear back from the company who is putting on the show!!! The function went great!! I never would have believed that the guys could get our members up singing and dancing, but they did and everyone seemed to have a ball. They were set up way ahead of time and were just great to work with! You’ve got another very happy customer in ICUL!!! Oh My. What a night!!! My cheeks hurt from smiling and laughing so much. It was definitely a success, even though the crowd was much smaller than we had hoped. The guys were quick to aid us in a set up that worked much better for a small crowd, and they utilized the layout to get the crowd involved. Some who came up to “perform” surprised us with their “talent”. The officers of the club are already sure we will do this again, so please keep me updated with your schedule / calendar.Thank you so much for working with me to make this such a success. Just wanted to say thank you for our Friday night event. It went over awesome. The crowd loved it and the guys were fantastic. They were so awesome when I met them and helped me calm my fears about how the night would go. It’s a lot of pressure to pick the entertainment for a fundraiser. I felt like its success or failure was squarely on my shoulders. I have had nothing but positive comments from the people who attended. I could not believe how EVERYONE there was up and participating. It felt so good to have some good old fashioned fun. It would have been a shame to pick any other dueling piano company and not have the experience we did. I have no idea what made me go with you guys, but I am so glad that I trusted my gut. Many, many requests to have you guys back next year. As soon as we set the date, believe me, I’ll be contacting you guys. Thank you so much again, they were awesome! The show was AWESOME!!! Mark and Jeffrey did a fantastic job and we have gotten a lot of positive feedback. Last year, we had 80 attendees. This year, 250! We were so pleased with the performance and how interactive they were with the crowd. I wouldn’t change a thing.Thanks so much for helping to make our fundraiser great! Click here for a recap video that a friend put together. Thank you for an amazing night! Our alumni event was an all-around success and having 176 Keys as our entertainment was exactly what our group needed! It was so rewarding to see everyone out of their seats and participating. And to keep the majority of the crowd there until the end of the night speaks volumes for the quality of entertainment you guys provide. It was so fun watching people in their 20?s and in their 80?s up dancing. LOVE IT! We have received so many compliments from those that attended and I know people will be talking about that night for quite some time. Your guys were amazing. I hope you had a good time as well. If all your events are as fun as ours was, you are guaranteed many years of success! Everything was wonderful!! We had SO much fun, I couldn’t believe we danced almost the entire time! Our guests were raving about your show. Many people said it was the most fun they’d every had at a wedding, and that was exactly what we were going for. You guys did an awesome job. Everything was great! 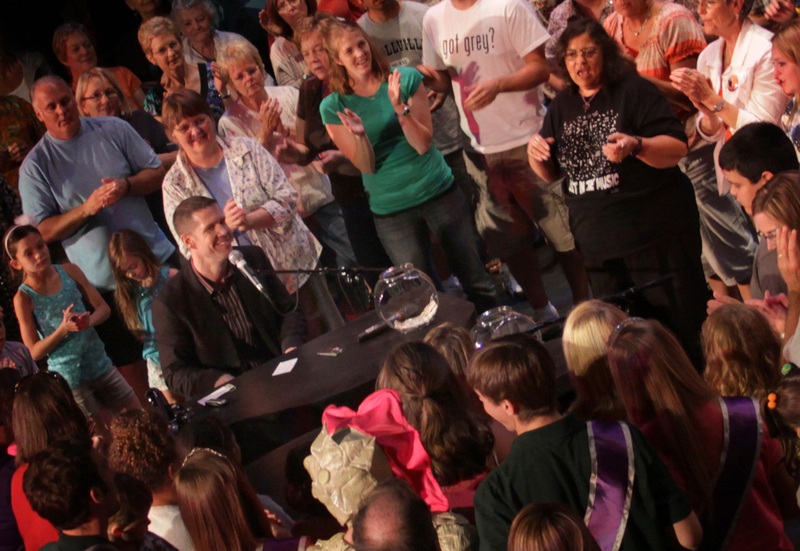 We have had MANY compliments on the show and so many more in our community are aware of what dueling pianos are. I appreciate all of your help. Looking forward to working with you in the future! Thank you! You both were truly phenomenal on Saturday, and we just can’t thank you enough!!! You and your staff have been wonderful to work with throughout this process, and the reception hall said you were just a “hoot.” All of us were amazed by your musical talents, and I was particularly amazed by your ability to read the audience and keep so many people involved and entertained – it was just an incredible show! There were people up there dancing who told us they hadn’t even danced at their own wedding!!! Your show is all we have heard about since Saturday night, so it was a great success. Because of you guys, our wedding reception was exactly what we hoped it would be, and actually even better than we had expected. We will remember that forever, and there just aren’t enough words to thank you! The best to both of you and thank you forever!! The show went great!! The guys did a phenomenal job! I was a little nervous since most people in this little bitty town that barely makes the map had never heard of a dueling piano show before. I was pretty sure it would go over well, but just had that little bit of nervousness about it. They knew exactly how to get the audience up to speed and involved quickly and it turned out to be probably the best main stage act that our town has ever had! People stuck around for the entire show and even convinced them to do “ONE MORE SONG, ONE MORE SONG!” Everything turned out wonderful.. and you’ve got two pretty cool dudes workin’ for ya. I wanted to send you an email in regards to our event Saturday night. They did a wonderful job, they are first class! Everyone had a great time and commented on how great they were! We look forward to doing business with you guys again in the future! We had a wonderful time! Everyone wants us to do it again next year – told us it was the best fundraiser we’ve hosted! They had so much fun that we extended the time an additional 1/2 hour. The piano players did an outstanding job and the crowd was very interactive. Thanks again!